The election is over and now the real work begins. Today is not fundamentally about Republicans and Democrats. It is not about winners and losers. It is about us, the American public and how we will be best served by those in elected office. We endured not only a closely contested election, but one marked by a torrent of high-priced of polarizing ads which leave in their wake, a deeply divided nation even though the contest is over. Now the real work begins, indeed. Will we be one nation, or will we simply continue the same fights in new settings. Will Congress continue to be a paralyzed battleground even as we confront serious challenges on virtually every important issue we face as a nation? How we answer those and similar questions will probably have more effect on our lives than the people we elected yesterday. And rather amazingly, we would do well to look to another electoral process which unfolded this week, for some wisdom about how best to proceed. We should look eastward to the Coptic Christian community in Egypt and their election of a new patriarch, Pope Tawadros II. The 60-year-old, English-trained pharmacist born as Wagih Sobi Baqi Suleiman, became the head of the Coptic Church when a blindfolded child picked his name out of a bowl. A crazy way to determine who should lead a community with millions of members, or a brilliant process which builds unity and commitment to the new leader regardless of who he is? The latter. I will explain. 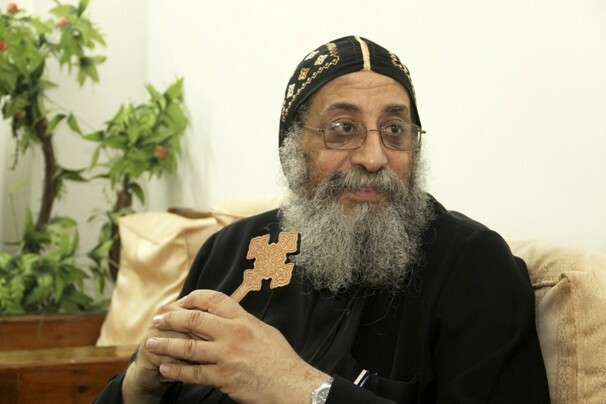 The process by which the Coptic Church selects a new pope begins by assembling a long list of potential patriarchs, a list which is then narrowed by a vote in which more than 2,000 church leaders participate. Ultimately, that list is shortened to three names, all of which are written down and placed in a bowl. Following three days of fasting and chanting, a child is selected to reach into the bowl and draw out the name of the person who will serve as the new leader. The process is meant to reflect divine intervention in the selection process, with the faithful affirming that the ultimate choice is made by God, who directs the little boy’s hand to the “correct” choice. This process also demands an additional understanding – one that works whether one is Coptic or not, believes in God or not, and one which would serve us well as we wake up this morning in the United States. For the process to work, Copts must believe that any of the three names that are placed in the bowl are people who are capable of leading their church. They may prefer one over the other, but if they did not accept that whatever their preference may be, each man was worthy of serving as pope, they would not see the hand of God in each case, as they do. Now imagine applying that assumption to our own elected officials. Regardless of how we feel about the outcomes of Tuesday’s election races, what if we admitted that in each case, and especially in the race for president, the two candidates made our own version of that short list, and then their names were placed in a giant electoral bowl? The fact is, each man is capable of leading our nation, and now that one has been chosen, we should spend more time figuring out how to come together as one nation regardless of how we feel about the outcome. Whether one calls it the hand of God, the will of the majority, or anything else, the bottom line remains the same. A winner was chosen from two legitimate choices, and now it is up to us to come together around that choice and be one nation, much as the Coptic community is coming together around their new pope. I hope that we rise to that challenge, and wish both victors the best of luck.